Pick Your SIZE. Choose Your Color. Pick Your Tee. 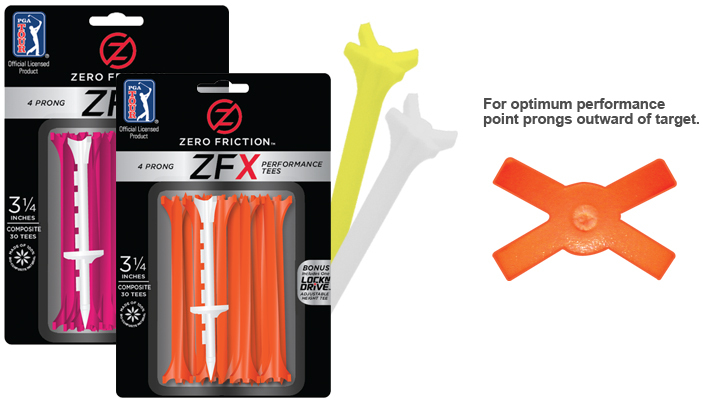 The ZFX System™ has a patented 4-prong design, which offers more stability and easier placement of the ball while still providing the same performance value of the original Zero Friction™ Tee. Every ZFX package comes with a Bonus Lock n Drive™ tee.